If you are planning an amazing holiday time in Granada you have to follow our tips. We spend an entire weekend in Granada, and more. 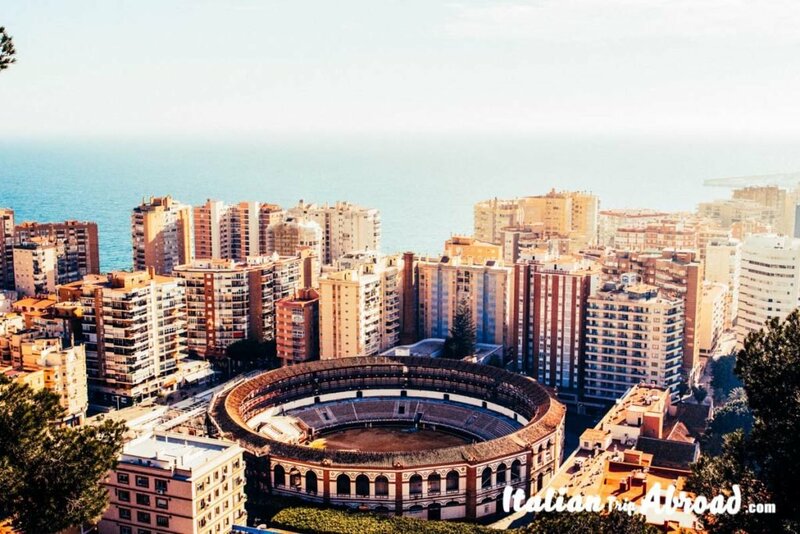 This is one of the best cities we have visited on our road trip of Andalusia. It was amazing to understand the contrast that is in this city. From the European influence and the Moorish conquerors, it has been forged in the soul. This contrast has given this city a unique style. We loved so much the way the city is built up, enjoyed our Weekend Granada at the best. From the top of the Albecìn, you can enjoy the best view of the Alhambra. The fortress is not the only landmark of this city. 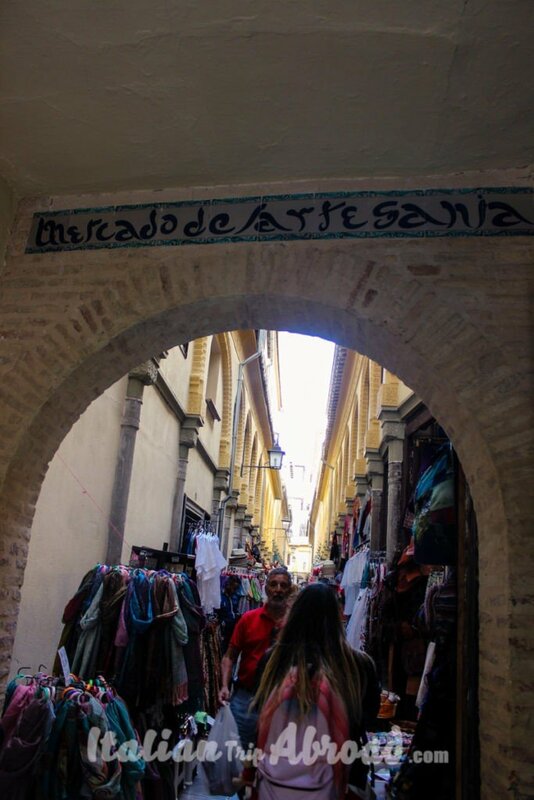 We went really off the beaten path in Granada and see what the tourists skip. Just spending 2 days in Granada you will understand how magical is this city. The city of Alhambra was the last stop on our road trip. We drove from Seville to Granada and had the opportunity to see the amazing view from the car. Granada is a particular city with a lot of stories, completely different from other Spanish cities. The people are attracted by all the mixed culture in one place. We planned our time in Granada in the best way ever. We arrived around lunchtime and the first thing we did was going to have a nice and cold beer in one of the tapas bars we found along our way. 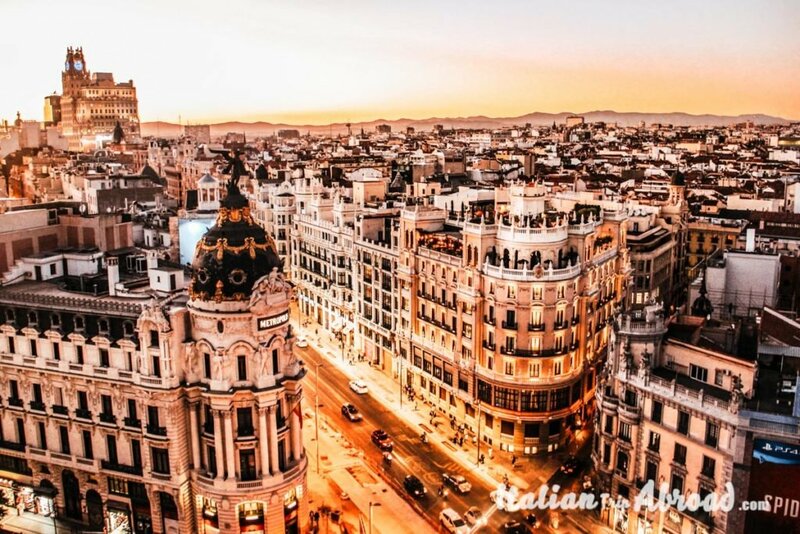 If you want to know more about the best cities in Spain, check out the post of Vickiviaja. Granada is not a very big city, you can walk all through the city centre and see everything, without missing nothing. We spent just 2 days in Granada but we really enjoyed. When we were planning our time in Granada, we really didn’t know what to expect. All the people we were talking about gives us really good feedbacks, but not that many information about. It was a guess stop in Andalucia, made fascinating only by the presence of the Alhambra. We really didn’t know what to expect as we thought two days in Granada won’t be enough. At least now, after spending a bit of time in Granada, we can assume that 2 days in Granada it wouldn’t be enough. If you have more time available and can afford to spend more time in Granada, go forward for 3 days in the city, and visit all the countryside. The Moorish city is not just a place where spend a nice, chilled and relaxed summer, but even suitable for an amazing winter on the top of Sierra Nevada, the big mountain range, snowy even in summer. Granada is part of the Golden triangle of Spain. Sevilla, Cordoba and Granada are the three stunning cities of Andalusia. All these cities have a common denominator in a well and perfectly preserved Mudejar gems. The Alhambra of Granada, the Royal Alcazar of Sevilla and the Mezquita of Cordoba are protected by Unesco as a World Heritage. This is another good idea if you are planning a nice road trip, you can start to check out about the Golden Triangle and rent a car to visit all those places. Visiting the Spain Golden Triangle you are able to understand all the cultural shadows, the historical resources this land have to offer. 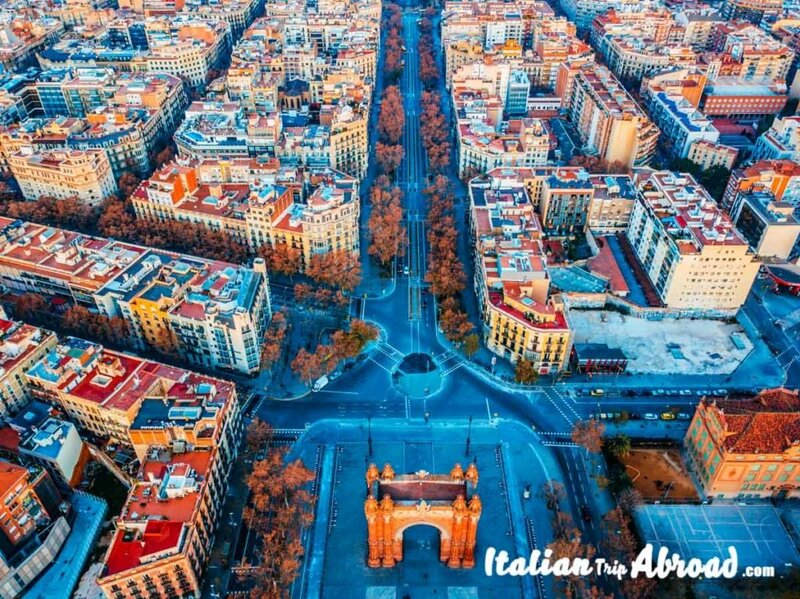 Before heading to Spain is good that you know these interesting facts about Spain, that will make you ready. If you are not ready to have an epic road trip in Spain, visiting the Spain Golden Triangle, choice a full weekend in Granada. There are a lot of things to do in a weekend, trust us, you don’t get bored. On the top of your list need to be the Alhambra. It is the most important and iconic things to do in Granada. If you can, try to book your tickets in advance, even try to check for the two months before. There are not that many tickets available for the access to the Nasrid Palaces, so it is often sold out. Try the traditional tapas should be on your bucket list. We suggest you visit Granada during the day and stop by a tapas bar on your way. There are many bars giving free tapas when you order a beer. 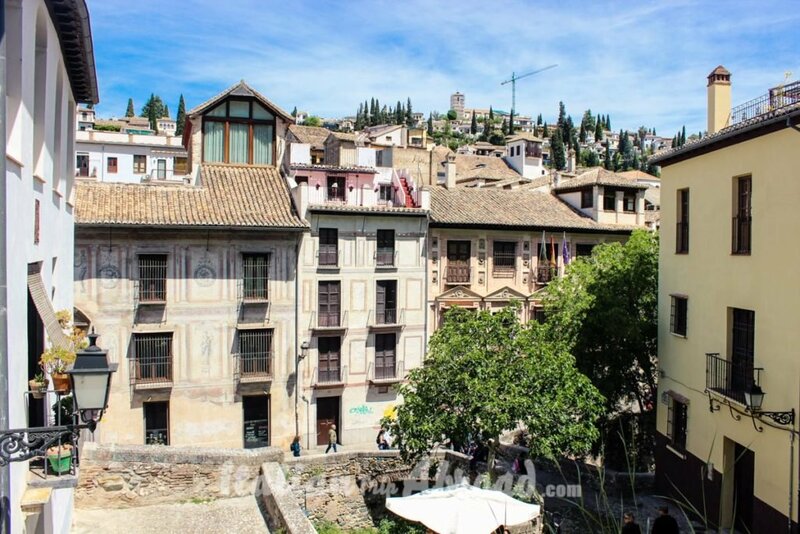 This is another point to don’t miss and the best things to do on weekends in Granada Spain. Do you know which is the typical beer of Granada? Spain is the city of the beers, and any city or most of them have a typical local product. The beer of Granada is the Alhambra. 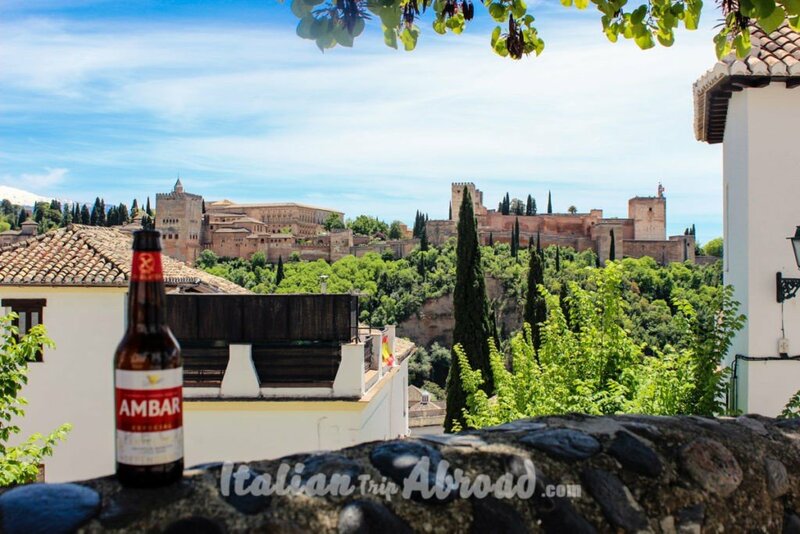 Spend your time in Granada with a fresh beer on a Miradores enjoying the Instagrammable Granada with an amazing landscape on the Alhambra. First and important, if you are going even for a weekend in Granada you must go to see “Alhambra”. In your 2 days in Granada itinerary, this is one of the top things to do. 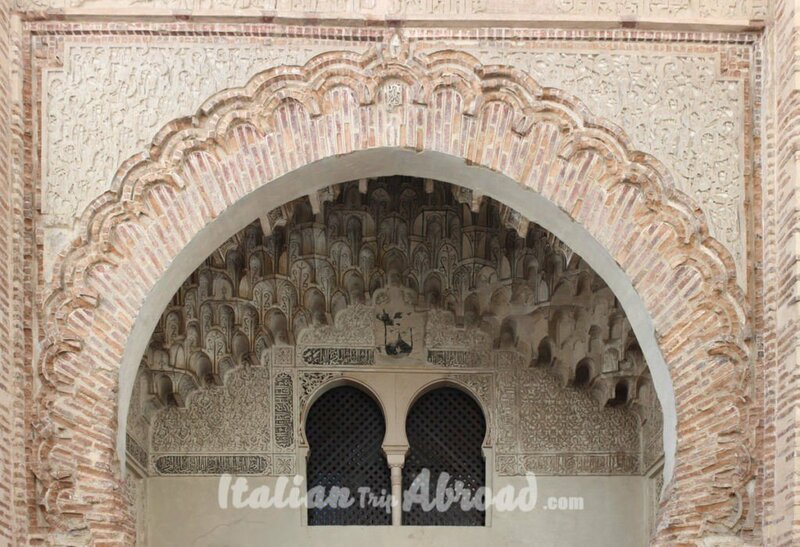 To find Alhambra Granada tickets is really hard so when you will book your flight ticket book those tickets as well, otherwise you will lose this beauty. We tried to find the Alhambra Granada tickets but we weren’t lucky even if we booked months and months before. It is the most beautiful attraction in Granada. It is located in a strategic point with a view over the whole city and of course, you can’t miss the change of your Instagrammable Granada. How to get to the Alhambra of Granada? The easiest way it would be by car or by bus, but trust me by foot is better because you can see around you amazing monuments which are not in all the guide. You can start in Cuesta de Gomérez from Plaza Nueva passing by Puerta de las Granadas, the first monument that you will see and it is the beginning of the tree-lined avenues of the Alhambra. After there is Puerta de la Justicia, which is the entrance to the complex of the Alhambra. You can think that the way is too long but it is really nice. When we have been for a weekend in Granada, we couldn’t find the ticket so we decided to find the best spot for taking pictures, we were walking from Paseo de los Tristes until arriving at the Mirador de San Nicolas, and this was the best time in Granada ever. When you purchase a ticket you will be asked to select a specific time to visit the Alhambra. Be really careful to show up at the right time, otherwise, you will lose the opportunity to visit an amazing spot. You can buy the tickets for the Alhambra online, on the official website. There are different tickets to get access to the Alhambra. The general entry to the Unesco building it cost 14 euro. You can enrich the basic ticket to the general entry with the pass for the Night visit to Nasrid Palaces, it will cost you 8 euro. If you want to visit the gardens and the Generalife as well you need to pay 5 euro more. 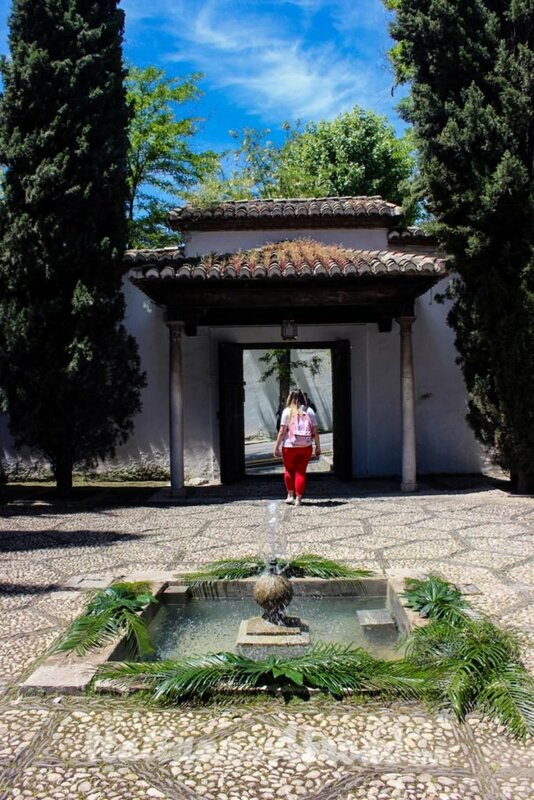 We invite you to don’t miss the Generalife. Altogether during the day, Generalife, Gardens and Alcazaba will be purchased for 7 euro. As you can see for a small cost you will have a special experience in one of the best places in the World. It’s not so easy to find the Alhambra Granada ticket. It is always better to book it in advance so you can enjoy this beautiful monument and you will be able to see the city from the top. Be careful don’t confuse the Alhambra Granada and Alhambra Seville. There is only one Alhambra and is located in the heart of Granada. Most of the people are saying Alhambra Seville thinking is the same. But they are not right. The only place called Alhambra is in Granada, the one which is in Seville is the Real Alcázar. It is one of the oldest palaces still in use in the world. Is true is really similar to the Alhambra of Granada, but it is on the same level as the city, different than the Alhambra which is on a hill overlooking the city. The Mirador de San Nicolás is the most famous viewpoint in Granada. 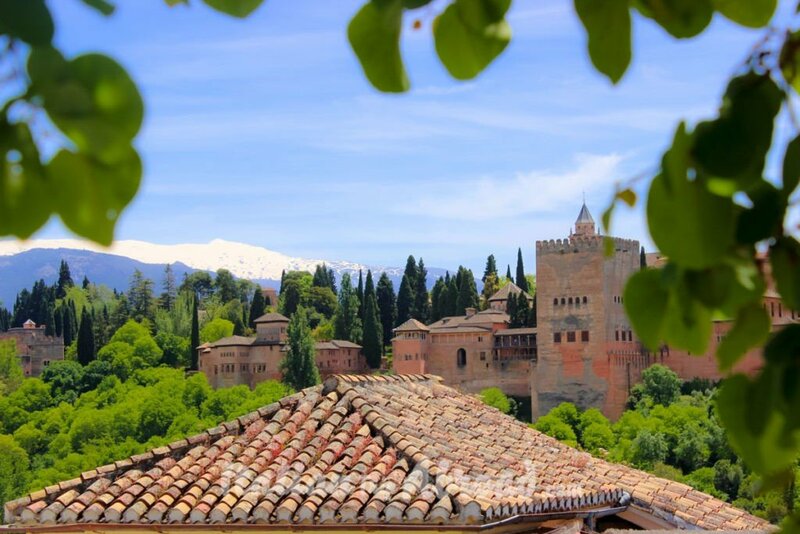 The beauty of this viewpoint is undeniable, with the Alhambra and the Generalife face to face, the city at its feet, and the magnificent Sierra Nevada behind. 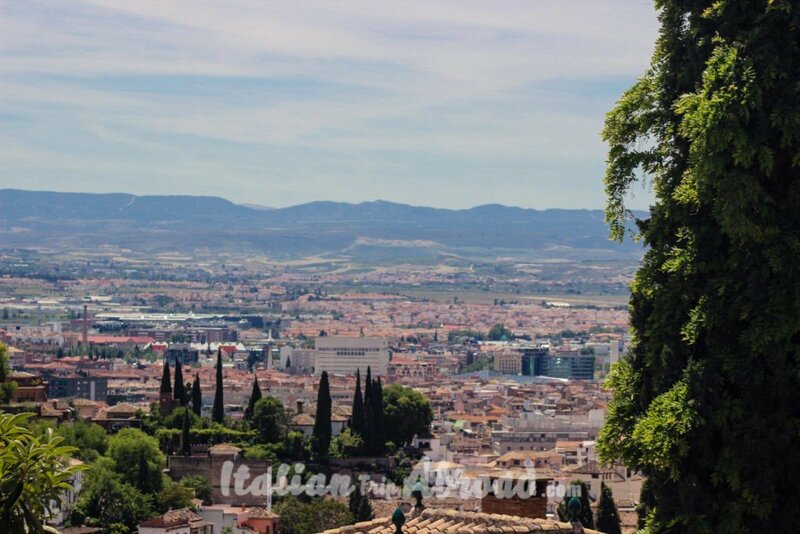 Spend your time in Granada at the top of the Mirador de San Nicolás. The hill is located in the Albaicín neighbourhood and is famous for the charm of its surroundings, its cobbled streets, white houses, tapas bars, and its people. You can get to the Mirador de San Nicolás from calle Plaza Isabel Católica in the small microbus route C1 that goes to the Albaicín. It is a really good idea and as we didn’t know, or you can walk up the hill through some very pretty little Albaicín streets. If you love to take pictures of those little streets we will suggest you go by walk. If you are thinking about where to eat in Granada here you go the answer. In Spain, there is this tradition which if you are going to any bars, tapas bars and order a beer you will get free tapas. Can you believe it? This is one of the best things to do in Granada. Drink, having food, going out during the night and exploring those amazing streets. It is a kind of snack, or if you are Italian you will understand better if we talk about “aperitivo”, “Aperitif” for English speakers. But if you want to give a good answer, is better to talk about the appetizer, because it a little piece to eat, drinking a fresh cold beer. It is a free give away if you are in a traditional local tapas bar, if you are in a touristic place, forgot about it, you need to pay for your tapas. That’s why Granada needs to be in your bucket list and even here you can find a lot of spots where to take some Instagrammable Granada pictures. 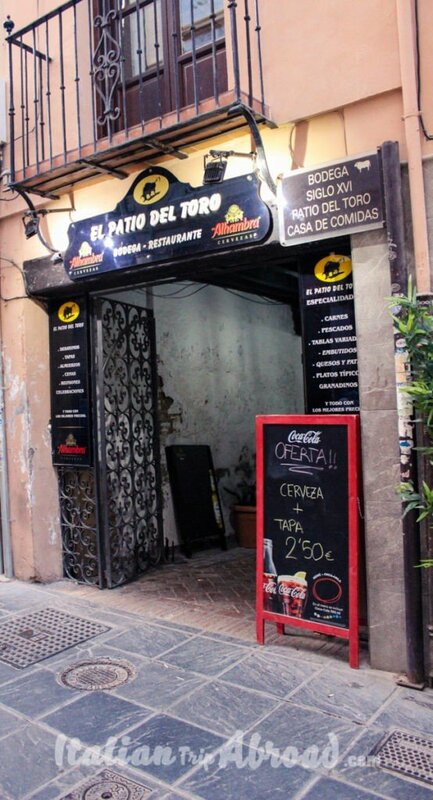 This tapas bars cannot be missed in your tour Andalusia Itinerary as is one of the best in Granada. If you are going for weekend breaks in Granada Spain you must stop by and enjoy those amazing free tapas which most of them are based on fish. This was one of our favourite tapas bars, you can choose between tapas or restaurants, they got two different sections where you can seat. This is our personal guide to what to see in Granada and how to spend your time in Granda and in two days and we want you to enjoy the best that we could and eat the typical Spanish cuisine. I know 2 days in Granada could be not enough but if you organize it in the best way you will be able to see a lot. So 2 days in Granada plan your days and you will see how amazing your weekend in Granada will be. As you know Andalusia is the land of the Flamenco, the gipsy dancing art has its home here in the South of Spain. In your best weekend in Spain, planning your Granada Itinerary you cannot miss a Flamenco Show. In Granada, there are a lot of nightclubs planning Flamenco session until 11 pm. If you are braver and want to try to learn, why don’t try a Flamenco lesson? This experience is a must to do in Granada Spain. Make your one day in Granada memorable and learn the old art of Flamenco. The best place where stay in contact with the essence of this land is the “Casa del Arte Flamenco Granada”, here you will reserve your table, order your drink and watch the amazing dancers. In the Albacin borough, there is the “Tablao Flamenco Albayzint”. 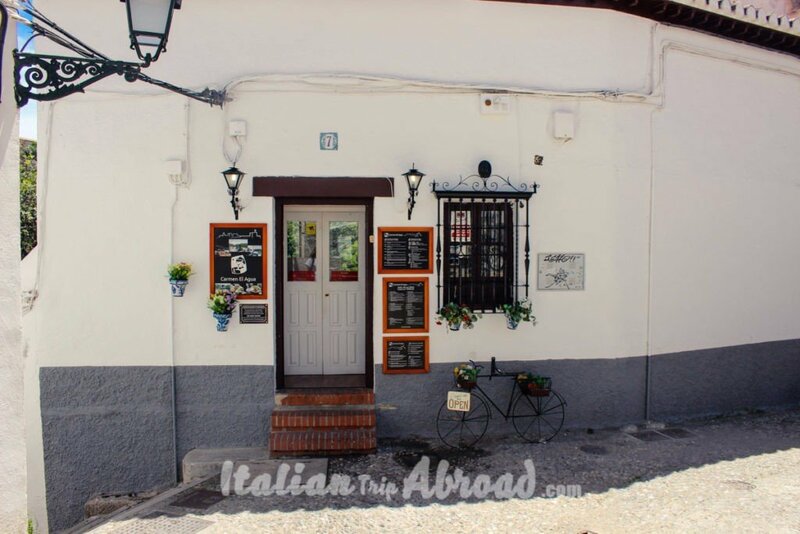 We will suggest you visit this place, and then go for a short walk in the suggestive Albacìn, it is a must see in Granada. After a very long day, we were walking around the city, we were close by Paseo de Los Tristes and we stopped by this shop, which we couldn’t understand what was it. We start to look on the Internet and we realize that it was an Arabic Bath Spa. Can you believe it? Alessia got crazy and she walked in and she books a treatment for two. We could choose at what time we wanted to go, from 4 pm to 8 pm or even 12 am. Everything was absolutely amazing, the price was moderate, 35 euro per person without the massage, but with just 15 euro more you could include it as well. This was the best time in Granada, relaxing in an amazing Arabic Spa without thinking absolutely nothing. The treatment is the best ever, you will have sessions even at midnight and there are not more than 10 people in a huge space. The Hammam Granada price is in line with other spas, it will start from a standard treatment for 35 euro, going up with upgrading massage and relaxing treatments. It is worth of visit, you will get out completely new. It is really helpful after a daily long walk to reach the Alhambra. Our weekend in Granada was really nice, it was our last stop on the road trip so we wanted to enjoy as much as we could our time in Granada, and that’s what we did. We travel a lot and the tour Andalusia was one of the best trips ever. 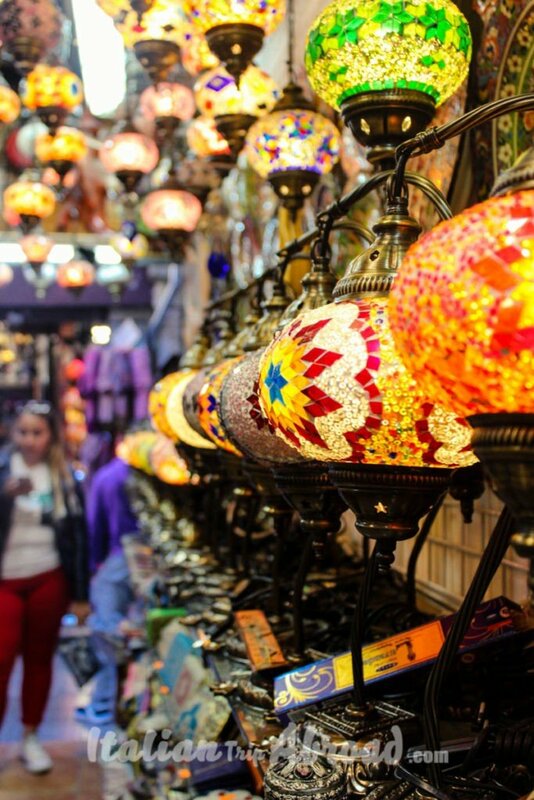 In your 2 days in Granada, you can have time to do a lot of things even shopping. Alessia falls in love with all the beautiful shops around the city. On Sunday forget it as most of the shops are closed or just a few are open like Kiko, but if you are looking for something else go another day or go to the shopping centre “Centro Commercial Nevada” open every day and close at 11 pm which is not very far away and you can have the chance to see the Sierra Nevada from far away. While walking around the city you will have the opportunity to see this amazing Traditional Artesania which need to be in your Granada travel guide. Seems like a market but is not. In the traditional Granadino handcrafts that you will find in the city, and around the province, you can see the various cultural influences from the Iberians to the Moors and the Christians. You will spend at least one hour and you will have the impulse to buy everything. 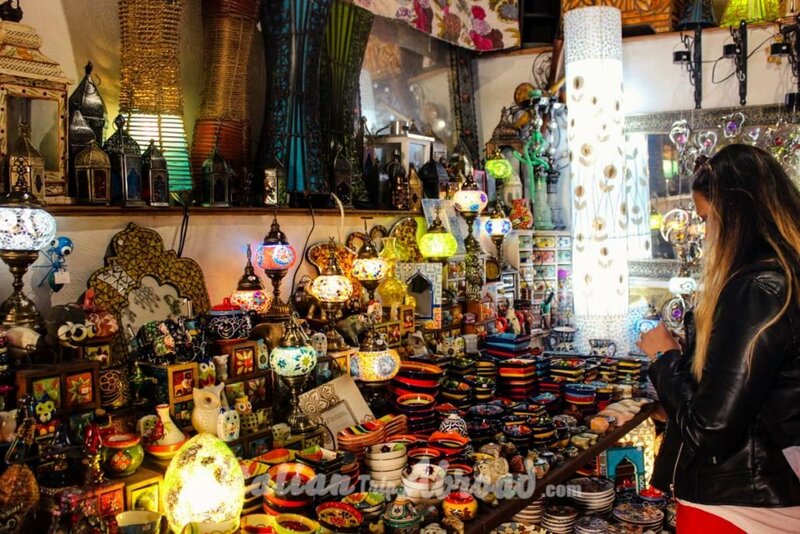 Albaicín – head here to haggle for Moroccan and Indian goods such as jewellery, sandals, clothes, bags and furniture. Cheap and colourful is what you will find, and it’s a really good spot where to take pictures. Fajalauza Ceramica – if you are looking for pottery the most distinctive of all produced in the area is known as Fajalauza. It dates back to the 16th Century and is named after the medieval gate that led into the traditional potters quarter of Granada. You will find examples of this type of pottery in many places but if you are really serious you should head to the Fajalzauza Ceramica on Carretera de Murcia and marked on the map. Alcaicería – located near the Cathedral the old silk market, dating back to the Moors, is now a souvenir hunter paradise if you don’t mind getting tangled-up with tour groups. What are you waiting for? 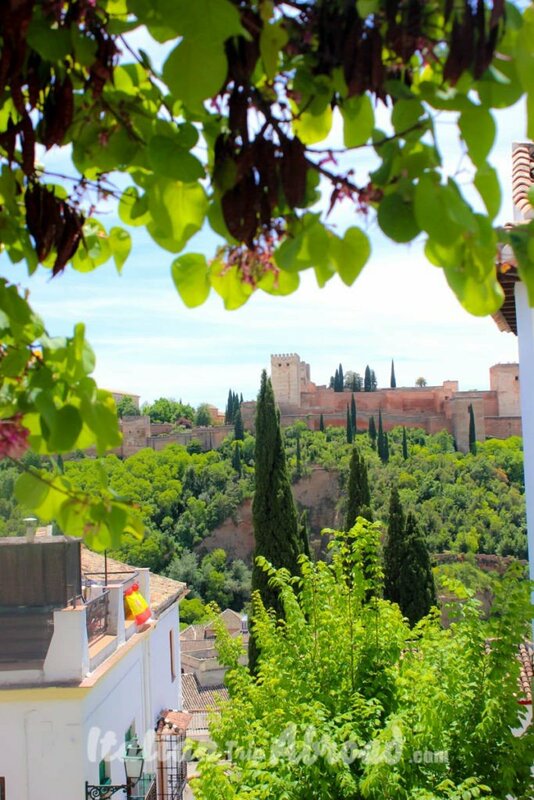 Plan your weekend in Granada and enjoy a nice weekend in one of the beautiful Andalusia city. Here is where we reply to some question we find online or our friends ask us. Yes, it absolutely is. Is one of the safest places we have never been. Even if you are going through small streets and dark parts you will feel safe. Like always be careful about where you place your wallet or to don’t be too soft. It is safe but you will never know. As we said before to do a weekend in Granada without eating the tapas at las Provincias or las croquetas at the Los Emanueles is not a nice weekend. But, anyway, even if you don’t want to follow our suggestions, try to find out a tapas bar, you will love it. Also, drink the Alhambra, please. The best place where stay in winter is the Sierra Nevada, it has got some good ski lines and it is cheap. If you are heading here in winter, you need to give a try to the Sierra Nevada ski lines. 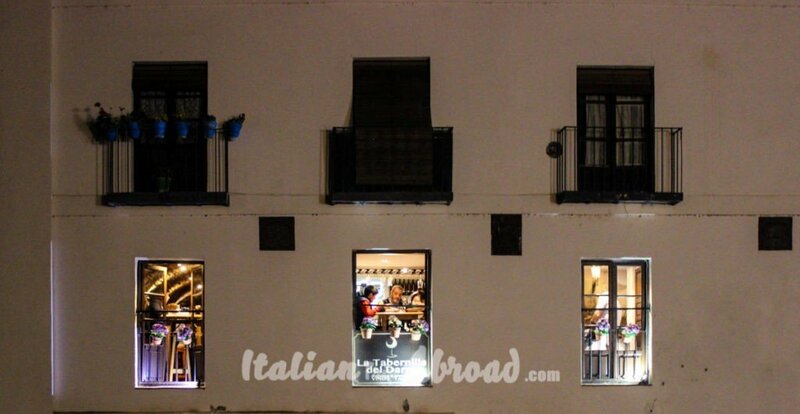 Just 15 minutes away from Granada you will find the Commercial Shopping centre of Granada. At night you can try to go to the Plaza de la Universidad where there are some good small bars and drink a shot or two. Please don’t drive later. As we have said before, there is the Sierra Nevada really close. The top of the mountains is snowy even in summer. It has really good ski lines and you will enjoy your winter time there, drinking an amazing hot chocolate in a cottage. How to enjoy Granada in two days? Here you will find some good tips that will help you to enjoy your time in Granada contemplating this beautiful city. OMG! I absolutely enjoyed reading your post which, for my needs, is packed full of insightful tips! It’s been some time since I spent 4 glorious days in Granada. I was indeed fortunate because I had no difficulty buying tickets to the Alhambra, Generalife and Albayzin – all UNESCO World Heritage sites. So, I especially appreciate your tip about securing tickets several months in advance for my clients. I agree that no visit to Andalusia is complete without sampling the tapas and flamenco – both for which Granada is famous. And, when in Granada, do as the locals for the most authentic experience. 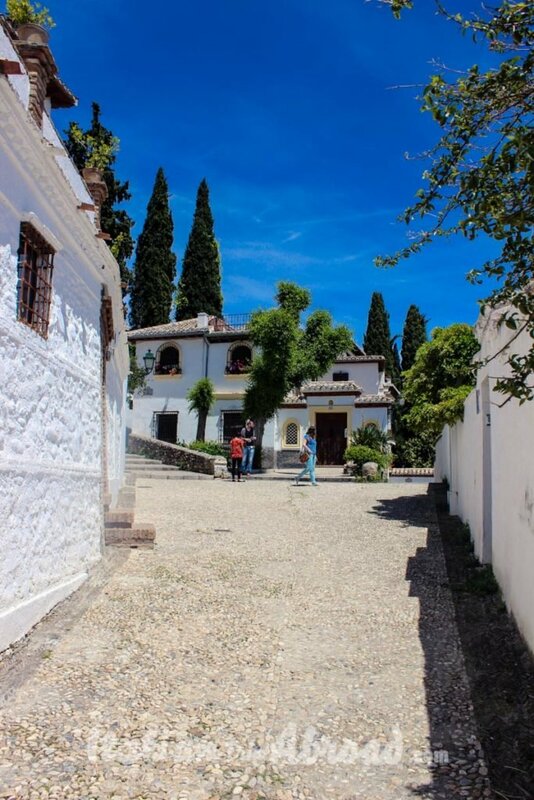 The Sacromonte district is home to Granada’s thriving Roma (gypsy) community and is famous for its gypsy caves. Long before the gypsies arrived in Spain, the Arabs discovered that the soft stone of the hill was ideal for carving out underground homes; the gypsies simply moved into them after the Reconquista and the expulsion of the Moors from Spain. I spent one of the most memorable nights of my entire 5 week tour of Spain in the gypsy flamenco caves or “zambras”. I completely understand why the gypsies of Sacromonte inspired poets such as Lorca and De Falla. As a cruisetour planner/experience maker, I also encourage my clients to begin and/or end their vacation with a pre- and/or post-cruise stay in or near their port of departure. The Port of Motril is only 43 miles (70 km) and the Port of Malaga 80 miles (130 km) from Granada. Unfortunately, although both are ports of departure where you can begin or end your cruise, there are relatively very few and far between cruises to choose from. In contrast, Malaga is a very popular port of call on many cruise itineraries, however, most of these ships are only in port for the day. And, as you’ve stated, Granada truly warrants more time than that. Still, any reputable local tour operator vetted by the cruise line will pick you up at the cruise terminal and take you by air-conditioned private car, minibus or coach to Granada, where you’ll have a guided tour of the Alhambra and surrounding area, followed by free time to explore the historic city center by yourself before returning to port. The time you’ll save by jumping the line to the Alhambra is worth the price of this tour alone. I’ve already pinned your post to share with clients. I’ll also share it my Facebook travel group, which particularly enjoys travel blogs. I invite you to follow the backlink to my blog and share in the Comments, for posterity’s sake, your insights as to why a traveler should consider start or ending their cruise vacation with a stay in Granada. Thanks for making my job easier! Best wishes and happy travels. Thank you for your comment. Thank you for your sharing we really appreciate it! Yours is the best comment ever for us. We really fall in love with the amount of information you put up here and we really enjoy it. Thank you, thank you so much to be amazing. We are putting your blog in our bookmarks, we will be updated about your adventure and share with our contacts your contents. Two days sounds lovely for Granada, I think I had about the same amount of time when I went, quite a few decades ago. Looks like you really enjoyed it, not just the stunning Alhambra but also the beautiful old architecture and some cool beers and great food! 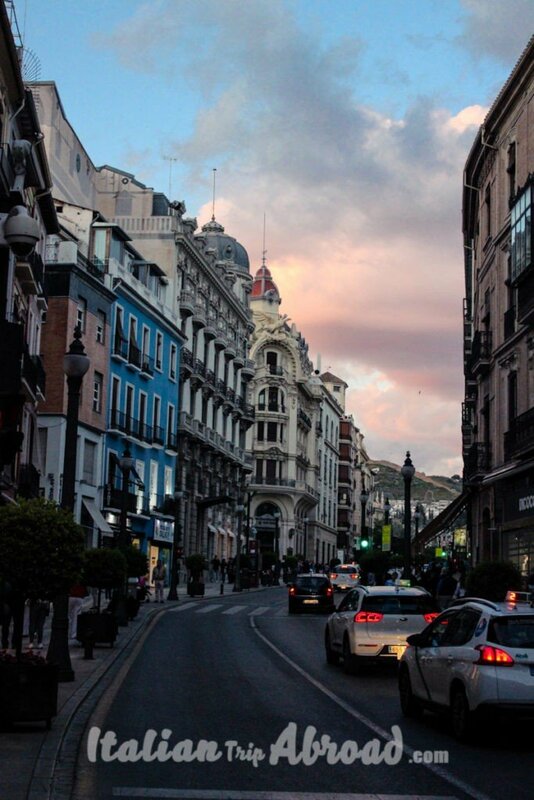 I wish I had had time to explore more of the cities while in Spain. Only made it to Barcelona. But it’s obvious they each offer their own unique appeal. Gorgeous shots! Thanks Shane. Try to make Spain again, it is awesome everywhere! Wow, magical doesn’t even begin to cover it! Those gorgeous blue skies and that beautiful architecture! I have to visit Granada! We have been in Granada this year during our trip in Spain. We loved the city so much because it is so characteristic but also so modern! 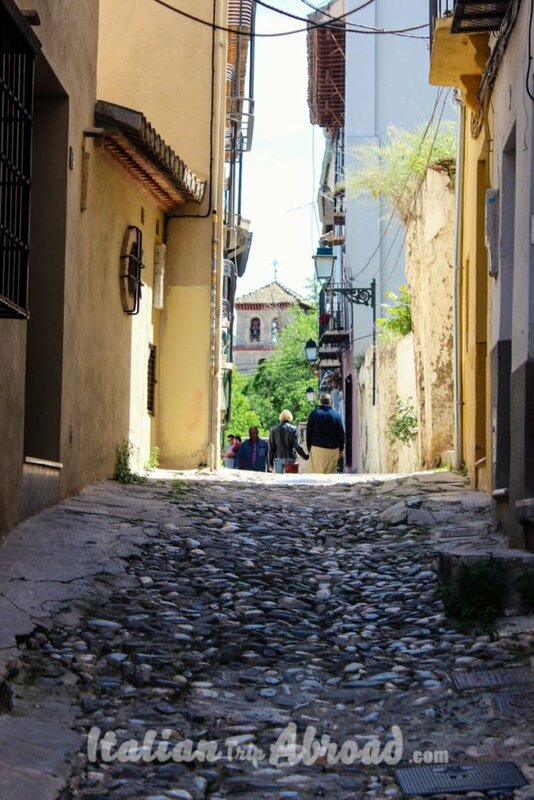 We’d like to explore Granada again… How to not love it? Thanks for bringing back memories of this wonderful Spanish gem. I think the Alhambra is one of the most atmospheric sights anywhere. You’ve covered the town very well in this article and your photos are top notch! I’ve always wanted to go to Granada. Love the architecture and the Spanish culture. Looks like a weekend well spent! It is true, Spain is Amazing! I must say I haven’t thought much about Granada but seeing your pics and reading more about it I wonder how did I not think of coming here? It looks like a fantastic place to explore. Yes, it is! Go and check by yourself. Granada is a good place to have rest. 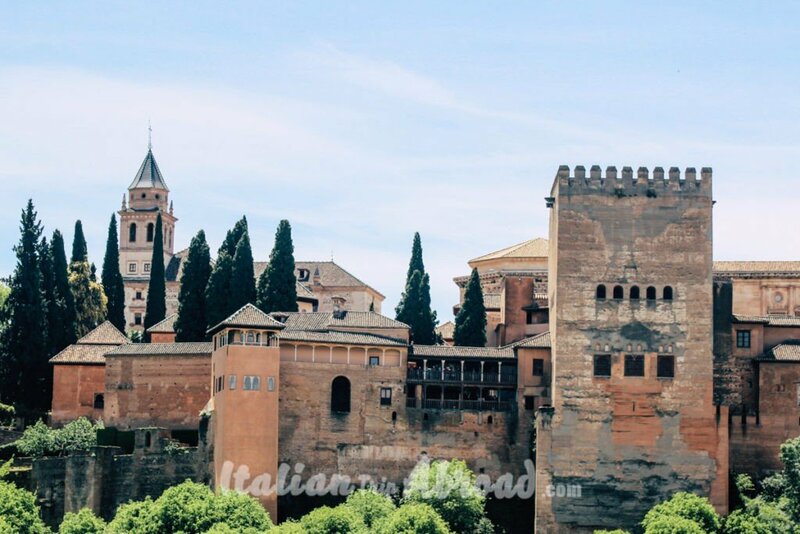 I loved the Alhambra but to be honest, I’d go back to southern Spain just for the tapas! So delicious! We completely agree, we love the tapas and the beer. The paella and the sangria. Those things make us sick to come back. I completely loved Granada during my visit there last summer. I cant get over the amazing hammam spa bath and of course the hour long exploration of the Alhambra. Guided tour was the best way. So glad to connect to your blog well as it acted as a memory lane – I could remind the best times I had there. Thanks for the share. Thank you for passing by. We have loved Granada as well. I haven’t been to Granada in far too long. You’re kindly reminding me that I need to get myself back there ASAP! I am planning a road trip around the south of Spain next year and Granada is on my list! Thanks for the info about purchasing tickets 2 months in advance for Al Hambra! I knew that it gets sold out easily but not so much beforehand. I usually don’t even plan the exact dates of my travel 2 months in advance so this one might be a challenge for me but I cannot afford to skip this UNESCO world heritage site either! Granada looks so charming and beautiful! Absolutely you cannot skip this place, it is amazing and worth to be visited. The price is not even high. Go for it. If you want to add something to your Andalusia Road Trip, try to plan to go to Cordoba as well. Heh, when I saw your photos I thought something happened. The streets are completely empty. But then more photos came, and it finally looked like Spain I know. Granada is a bit atypical respect other Spanish cities. It is more quiet and calm, we have been there at the weekend, every Sunday the shops in the city centre are close. If you don’t visit the touristic places, the streets are really empty or not crowded at all. Granada is so beautiful and it’s been a while since I was last there. Good tip on not mistaking the Alhambra in Sevilla and Granada! Also, I agree that booking tickets in advance is much better than on the day! It’s true, especially because on the day you won’t be able to find any tickets and sometimes even months and months before. I would love to try tapas and watch flamenco. And of course I would have to see the Alhambra. Hamman also sounds tempting. 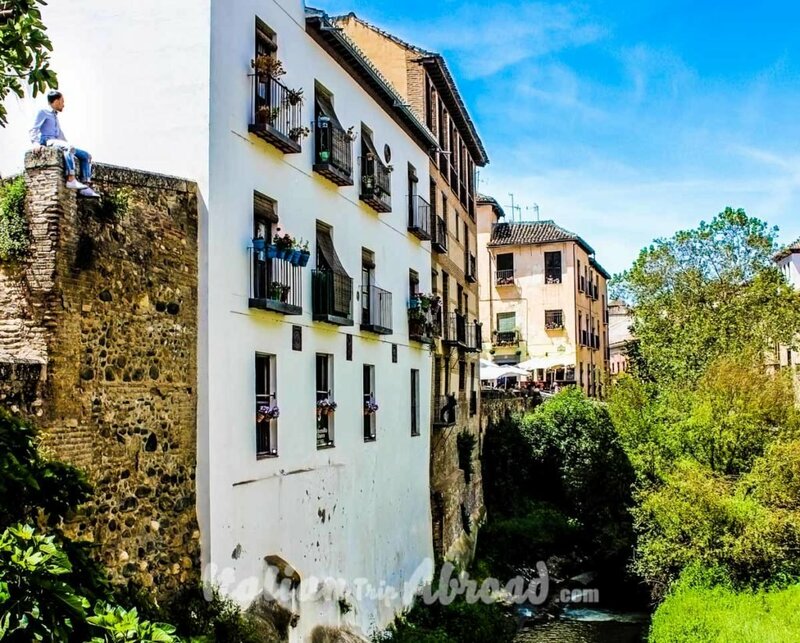 I really like Granada on your photos, I have to see this place! You will love it for sure. For me, the best part apart from the Spa and tapas was the Alhambra. Just one word, AMAZING! Amazing article. It is a very beautiful place.